You want to know what your problem is? You’re not living up to your potential as a blogger. And this is something that you know, deep down, whether you choose to admit it or not. You already know that the blogosphere is a massive place and each day there’s more and more delusional people joining it thinking that blogging is easy. And because that’s happening, many bloggers are starting to realize that they have to do much more than they’re currently doing to get noticed. Sure, writing regular blogs posts are fine but will that eventually make you a better blogger? A blogger that people start to pay close attention to? A blogger that inspires others to be great? A blogger that creates unforgettable content? Were you even able to answer yes to two of those questions? What I’m talking about may seem like an incredible feat but it’s certainly attainable IF you’re willing to put in the necessary work that’s talked about in this post. The first part is something that’s talked about a lot these days and rightfully so. Because blogger outreach is really all about engaging and building relationships with other bloggers. It involves sharing the posts of other bloggers, leaving meaningful comments and just being active. The more you can do that then the more those bloggers will start to pay attention to you and even reference some of your content in their posts. The second part really comes into play when you get the first part really working for you. Leveraging off of those influential bloggers is huge because they obviously would have a much larger audience than you. In your blog, you could mention and link to a blog post that they wrote. Mention them in your post by sending a message either through social media or through email letting them know that you mentioned them. The third part of the formula is obvious and you should already know some information about it. You can’t get your content or your brand out there if you don’t … actively … promote. Now, the great thing about this formula is that you need all three components to really be a blogger people start paying attention to. It’s not good enough to just focus on one part of the formula because you’ll never achieve what you set out to achieve. Do you really want to know how to be a blogger readers start paying attention to? Tip #1: Create A Pillar Post. Could you honestly believe that many bloggers still opt for writing 300 word blog posts thinking that’s what their audience want? I really don’t know what foolishness they were told but they’re sadly mistaken. Let me tell you something, my friend, 300 word blog posts and their effectiveness are gone the way of the dodo bird. And if you think about it, it is. These days, can you really provide value with a 300 word blog post? Probably not. What about capturing attention. Do you think that’s possible based on 300 word blog posts? I doubt it. That’s why if you want to get attention from people and really provide value, you need to create pillar posts. And if you don’t already know, pillar posts are usually posts that are so practical and so valuable that it always stays current and never loses its appeal. You’re increasing traffic because the possibility of more people sharing it will be higher. You’re increasing your authority as someone who knows what they’re talking about. The bottom line is this, start writing pillar posts (even if it’s one each month) that your readers will thoroughly enjoy. The “How-To” post is a staple in blogging and it can have serious impact if you use it effectively. The main goal of a “How-To” post is to explain, in detail, how to do something. Creating these types of posts can bring in a large amount of traffic as well if it’s on a topic that people seriously want information on. Who wouldn’t want to know how to create a good blog post super-fast? I know I would. On average, it takes me 10 – 20 hours to write just one blog post. To be able to cut that time down a little would be great. I’m sure you would feel the same about your blog posts, am I right? The other type of post that you can create pillar articles from are list posts. If you look around the Internet, you’ll be able to find list posts absolutely everywhere. “7 Ways To …” or “10 Productivity Tips That …” are just a few examples of list post. But the thing about these type of posts that you want to keep in mind is to always try to come up with higher numbers, like “37 … 73 … 101” as opposed to just the normal “5 … 7 … or 10.” Reason for that is you have a higher chance of it going viral with those higher numbers. It’s a psychological thing. When you present people with a high number and provide more methods to do and achieve something, it’s automatically looked at as having alot more value. We all have trouble coming up with titles for our blog posts, from time to time. I know that it usually takes me between 2 – 6 hours to come up with a headline for my blog posts. So seeing a list post like this and lay it out like Pauline did would be very beneficial. Tip #2: Don’t Be Afraid To Go Above And Beyond. I know that you’re probably so bored of hearing the same old speech “To succeed in blogging, you have to stand out and separate yourself from the crowd.” You can’t go a full week without another blogger coming out with a post like that. But if you really think about it, it’s the truth. You do have to stand out from the crowd in order to be successful – but the real question is, how can you actually achieve that? That’s why, in a post that I wrote where I asked this question to 17 expert bloggers, I asked them how they stand out from the crowd and they all provided some exceptional answers to that question. But after having time to reflect on all of their answers and doing some deep thinking, I came up with an answer that surprisingly wasn’t given. Yet, it’s something that many of the bloggers mentioned in that post, and maybe even some of you reading this, do. And that’s … go above and beyond what’s expected of you. In it, she not only describes (in detail) each way you can successfully get an influencer’s attention, but she even describes steps on how to execute that specific way. But if you’re an avid reader of Ana’s blog, you’ll notice that in almost ALL of her blog posts, she goes above and beyond to deliver that information to her readers. You’re creating loyal readers that’ll love your content and start to trust you more because you’re providing them with so much quality information. You’re positioning yourself as an authority in your niche. You’re setting yourself up to get your content shared even more than it already does. All the more reason to start, don’t you think? The main purpose of many of those who blog is to teach and educate readers on how to do something. Sure, a regular blog post can go a long way sometimes but there are times when you need something more than that. That’s why creating detailed tutorials is one of the best things you can do to go all out for your readers. 2. Any questions you receive by email, answer it by creating a post around it. If you really want your readers to appreciate you more, then this is one of the smartest things you can do. If you receive any questions from your readers that they don’t understand, rather than just answering them back with an email, devote an entire post to provide the answer. This allows you to not only feature that reader, but answer that question (which others might have as well) in a unique way. You could even take it a step further and create a video or a podcast around answering that question. Going above and beyond like this will not only stand out in the mind of the person who originally asked the question, but to other readers as well. Tip #3: Leave It All Out There With Your Comments. Seems like blog comments have been a hot topic for the last little while … but with good reason. Comments are one of the greatest strategic methods that you can use to build relationships, engage with other bloggers and ultimately, get quality traffic back to your site. How can you not agree with that? This goes for when you’re replying to comments on your own blog or leaving comments on someone else’s. You should ALWAYS try to make your comments meaningful and genuine because at the end of the day, it’s all about that connection. You’re building a sense of community. You’re actively showing that you want to engage with the person. Even though you may feel as though you’re not getting anywhere with the comments you’re leaving, still give it a while. Like Adrienne said, the more you comment and are seen, the more blog owners and other commenters will start to take notice. 1. Ask Questions To The Blogger. This is one strategy that I love to do with certain blog posts that I read. Asking a question regarding something you read and including it within your comment, shows that you’re not only interested in the post, but that you want to get a conversation going as well. This only increases engagement and builds on the relationship. 2. Mention A Phrase/Sentence That You Agreed Or Disagreed With. Want to show that you really read the post and connected with something the blogger said? Then within your comment, mention something they said that you agreed or disagreed with. I dare you to tell me that is doesn’t make you feel good when a reader lets you know how much a blog post helped them. If you say any different, then you’re a flat out liar in my opinion. As bloggers, we all know that it feels so good to be mentioned in another bloggers post. But the real “feel good” part comes from when readers tell you how your specific blog post helped them or inspired them. Tip #4: Let Your Readers See Your Transparency. This is one of my favorite tips and it’s really important so pay close attention. Those that are very open about their lives and let their readers into it. These are the types that’ll tell personal stories about themselves, their families, etc. Those that are completely against sharing anything personal and just want to remain an unknown. These are the types that have no pictures up on their sites and for the author name, they keep it as admin. Given the description of those two types of bloggers, let me ask you this. Which one of those bloggers would you feel more comfortable connecting with? Hopefully the majority of you said the first type of blogger. You see, transparency is very important in blogging – more important that you possibly realize. Readers connect with you much more when you’re willing to show that you’re a real person … just like them. And when you do that, they not only start paying attention to you more, but they also start to trust you more as well. You’re secretly telling your readers that you have no problem sharing your personal life with them because you want to be as open as possible. You’re taking a major first step towards building more trust with your readers. 1. Admitting certain pains that you had to go through. Ryan Biddulph did this recently when he admitted, in this blog post, the reasons why he decided to let go of a blog that he’s been working on for four years and has written more than 3,400 posts for. 2. Admitting certain failures that you’ve faced. In this post, Catherine Holt shares her experience when she first started blogging. She describes a major point early in her blogging career where she experienced a failure and shares that with her audience. 3. Sharing how you overcame adversity. Don Purdum has been through a lot during his time in business and, in this post, he shares exactly how he was able to overcome adversity and turn it into success. By showing that you’re human in your blog posts, and that you go through failures, struggles, pains and successes, like your readers do, they’ll start to feel more of a connection to you. This is something well worth trying if you’re not already doing it. Is It Really Worth All This Time And Effort? Look at it this way. The top people in any profession works much harder than some of their peers because they realize that’s what they need to do if they really want to succeed. Doesn’t matter if they’re a doctor, lawyer, athlete or a broker in the financial district, they know the time and effort needed to truly get ahead. And you know what, they do it. How about something a little closer to home … look at all of the bloggers that are successful. Not naming names but what do you suppose made them as successful as they are? If you don’t know then read over this blog post in its entirety because believe it or not, that’s what it takes. If you want the attention you think you deserve, you have to stop talking and start doing. The good news about all of this is that after you’re done reading this post, you’ll be equipped with all you need to know and especially how to get there. All you need to do is figure out which strategy you’ll be starting with first. But the most important thing to remember is that the will to truly succeed in whatever you do is a choice that only you can make. Now, once you decide to make it by following one (or all) of these tips, that’s when you’ll start to notice readers coming around to your blog more often. That’s when you’ll start to notice readers and other bloggers start to share more and more of your content. That’s when you’ll start to notice people paying much more attention to you and randomly mentioning you and your blog in certain posts that they wrote. All because you took the steps to become a better blogger … and it shows. I want you to take another look at the tips that were mentioned above. Don’t just read them – analyze them and see if you’re implementing any of these tips. If not, then it’s time to take some action, don’t you think? Leave a comment and share with us which tip(s) you completely agree with and which one(s) you’re going to get started on right away … and why. Lastly, before you get started, we would really appreciate it if you’d take time to share this post with your friends as well. We’re pretty sure that they’d love to learn how to be better blogger as well and they would appreciate you even more than they already do for that. What do you think? Regardless, this is my second ever guest post and thank you for the kind introduction as well. It’s been a pleasure to have gotten to know you for the past few months and thank you again for the opportunity. Hope you have a great day and awesome rest of the week, my friend. You’re welcome. It was my pleasure! I enjoyed this post of yours. It’s easy to see you put forth a lot of time and effort into creating it. And I love how you found a way to mention numerous Be A Better Blogger commenters, either through direct links or screen shots. I’ve enjoyed getting to know you the past couple months, too, Andrew. I predict you will become one of those influential bloggers we all aspire to be one day. Just keep doing what you’re doing! Hope you have a great week, too. There is big big difference between getting attention and begging attention. Those who fail to create value have to follow the latter way. A tutorial with quite new tips and tricks makes people notice you and if the post is really awesome they just dive into your profiles at social media and About Me page. Once they know about you in detail then they must get your good impression because obviously your aim of writing your About page is to influence your visitors. Giving comments at other blogs with a purpose is another wonderful way to note people. First time Andrew I noticed you at Adrienne’s blog because of your awesome comments there. And Kevin your vast experience in blogging is itself a main factor I noticed you first time at G+. You’re right. There is a big difference between getting attention and begging for attention. Those that feel as though they have to beg for it obviously don’t know HOW to actually get attention the right way. I agree that about pages are important and I actually need to take some time and re-do my about page. Make it more detailed and use tips I learned to have it help conversions. Thank you for the kind words, Mi Muba. Alot of people have been saying these things about my comments but I think that my comments are just as good as comments you leave, or Kevin leaves or a few other bloggers that we know. LOL it is a compensation in a way. I’m thankful that Kevin allowed me to have an opportunity to speak with his audience here. Always glad for your comments, Mi Muba. Kevin – Andrew was an awesome choice for a guest blog. Andrew – This was another superb post! Again, your detailed but at the same time you’ve made the complex very simple. In reality, I suppose it is. I can’t tell you how many people I come across that whine and cry and just throw a fit at having to work at this. They will spend more time finding and looking for shortcuts than spending the time to do it right. Yes, it takes work! Yes it is worth it! Yes it is rewarding! Yes it is profitable. But, you have to take the time to learn to do it the right way! Thank you so much for mentioning me Andrew. What a blessing!!!!! I hope to keep earning this type of trust in the days, months, and years ahead of us all. Yea, that line is really important and just like you, I’ve come across my fair share of people who whine and cry the same way. Sorry, if success came easy, we’d all have it already. But it takes time and more importantly, it takes work. You summarized it very well. That’s basically what it was about. No problem for the mention, Don. You keep on earning it with the awesome content you share with your readers. Hope you have an great rest of the week. Take care. Well good to see you here at Kevin’s blog sharing your awesome advice with us. I love how there are now plenty of posts sharing how all of this can be done. I had to wing it when I started this process and figure it all out myself. Funny thing is, I fell into doing what I’m doing now and learned pretty quickly what works and what doesn’t. Thank you for mentioning my post about the comments. I know that this has been a big topic for a while now but do you know that I actually started commenting around the beginning of 2011 and to this day it still works wonders! How else can you get in front of enough people right? You want to stand out and be noticed and this is the best way I’ve found to achieve that. As you said, you can definitely get noticed by a lot of the right influential people too. Next thing you know they are sharing your posts in theirs just like you’re doing here. I do have to mention that it takes me quite a number of hours to write a blog post too Andrew. Glad I’m not the only one. Thanks for all these great tips and they are definitely ones that work beautifully. You’ve done another great job with this post and I know that Kevin is just thrilled. Great going guys. You both have a wonderful week now okay! In a sense, I had to wing it myself and learn these types of things. No one told me anything, and I started just last year. Maybe it was lack of information. Maybe I wasn’t looking for information in the right places. Who knows. But as long as we learned, right? How to posts, or any posts really that over-delivers is awesome … especially for the reader. I have no doubt that commenting is powerful. Look at your story. Like you said, you started commenting around the beginning of 2011 and to this day it still works wonders! More people need to start taking it more seriously. No problem for the mention, Adrienne. And thanks for the kind words. Hope you have an awesome rest of the week. I think each blogger has to decide how much of her personal life she wants to share. Some people are more private than others, but this doesn’t mean they’re not transparent. Thank you for mentioning my blog post! I agree with you. Each blogger does have to decide how much of their personal life they want to share. And by no means am I saying that they’re not transparent if they choose NOT do share as much as others. What I’m saying is that if they don’t even mention anything at all is the real problem. Penelope Trunk is awesome but I can’t share so much intimate details as she shares. 🙂 I mean I could but I don’t want to. I share what I feel is necessary to share while still being private. Thank you again for the comment and hope you have an awesome week. It’s nice to see you here at Kevin’s excellent blog! This is a great article with plenty of real-world examples to learn from. Thanks for the comment. I appreciate Kevin alot for even allowing me the opportunity to speak to his awesome audience. Thank you for the support and glad you enjoyed the post. Hope you have an excellent remainder of the week. Man is it ever worth it. My simple formula; pay genuine attention to bloggers and bloggers will pay genuine attention to you. I need to turn down interview requests these days. This after months of struggling to get on the blogging radar. It started after I posted in-depth comments, tossed my old blog in the trash to start a new blog, and after I told my true, genuine story, about my travels, and blogging from paradise, on my new blog. This gets easier and easier when you’re enjoying the ride and when you’re simply telling your life story. Don’s post was spot on, as was your point Andrew. I just read about a travel blogger who was once a lawyer, a few hours ago. I’m sure her blog rocks, and I’ll check it out here and there, but I was under the impression that she saved a bundle of dough, and then, quit, to travel. Love the story but it’s tough at times to connect with someone unless you see them overcoming some adversity. I share my story because I grew up in a middle class home with no entrepreneurs in da house. I had no business chops, and as a fired security guard, who made a *few bucks* during my first year online….and I do mean, a *few bucks*, literally…..I had to overcome a bunch to be typing these words from Fiji. I rocked it out by being true to me, by telling my story, and by resonating with other folks who either overcame their own demons or are in the process of doing so now. Thanks so much guys. You rock. Tweeting this in a bit. Have a fun week. 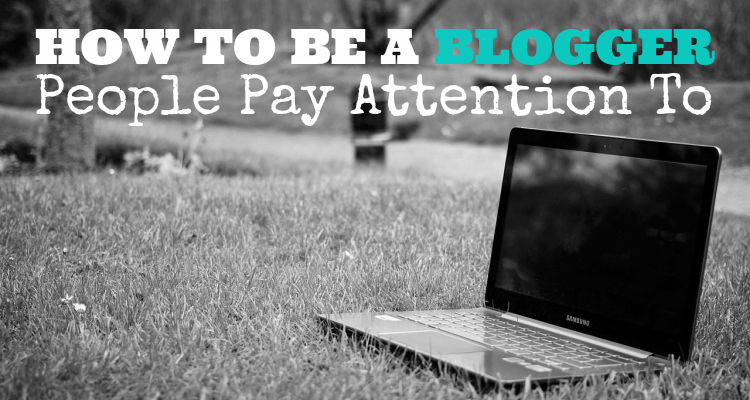 Really good formula you have there, “Pay genuine attention to bloggers and bloggers will pay genuine attention to you.” And despite how simple it is, it actually really works … and you’re proof of that. I haven’t been doing this as long as you have so I can only imagine how busy you’ve been for the past few months alone with the eBook and the endorsements from Chris Brogan and the speaking engagement coming up and the countless interviews, etc. It’s amazing what that one little formula can produce. Your story is completely awesome and I’m pretty sure everyone that you come across tells you that. Thank you for staying true to yourself and letting people see the real you. That’s what helps with being successful in the blogosphere. I love seeing my favorite bloggers come together like this– something that seems to happy pretty often, which just proves your point! This guest post really floored me. I can tell how much time and energy it took you to create it and I know it’ll get shared a ton because people love to share stuff about them! The really brilliant thing about this post is that it practices what it preaches in every way. Well done, sir! And way to go Kevin for having him! Thanks for the comment. Glad you enjoyed the post. It really did take alot of time and energy to create it. Around 21 hours of work put into it. I originally wasn’t going to construct the post like this but then I thought “I’m talking about these types of things, might as well.” I’m pleased with how it turned out and I’m grateful that Kevin allowed me the opportunity to share with his great audience and great bloggers like yourself. Hope you have a great rest of the week, Brittany. Thank you both for a great article. With so much advice out there it can become confusing to some people. Your post Andrew is clear and makes so much sense. Getting the attention of readers and keeping them can be hard so I will take heed of your advice , and grow my audience. I agree, there is alot of information out there that does make things confusing at times. And knowing that, that’s why I try to make each post I write as simple as possible – while providing key details. Try out some of these tips, Jennifer. You may be surprised how effective it is … especially with regards to the commenting. I know this is Andrew’s post and he’s already replied to you, but I have to chime in and welcome you since this is your first time visiting! Welcome to my blog, Jennifer! It’s so good to have you here. I’m glad you enjoyed Andrew’s post. There really IS a lot of information and advice out there, and combing through it all can be quite difficult. I think Andrew did a great job. There are lots of other great posts here on the blog (if I do say so myself, haha), so I hope you’ll return and check them out! Hope you have a wonderful day, Jennifer. Thanks again for stopping by. Congrats for deciding to get into blogging. And also congrats for viewing posts like this that and many others that can sort of teach you the ropes. Along with Kevin and myself, alot of others who have commented here have been through alot in the blogging world. So if you want to keep getting better, read and learn from the mistakes that others have made. I wish I had been told that advice when I first started. So what happens when epic meets awesome? You get awesomepic – sounds nearly scientific, doesn’t it? Yes, I know. Bad joke. I’m rubbish at jokes. Only that this was not meant as a joke – I was trying to describe what happens when one great blogger blogs on another great blogger’s website… Maybe I should just stay with ‘awesome’. Kevin, thank you for inviting Andrew to your blog. Andrew, thank you for your valuable insight. I am a very new blogger and you have pointed out a lot of things I still need to learn. For starters, thanks for explaining about a ‘pillar post’, that is really useful. In fact, it has given me an idea of a topic for one of my next posts. Your view on the length of a blog post is interesting – I did Google this particular topic when I first started writing and based on various sources, got the impression that a blog post could be anything between 200 and 2000 words. I guess, this is 200 when writing for people with very little time to read anything, and 2000 for those who want to get into a topic in detail. And you could go well beyond that, as Kevin demonstrated in this 8,317-words post a few weeks ago. I never aim for a particular length of a post, but usually end up with anything between 600 and 1500 words. It sort of happens – I keep writing until I feel that there is nothing more relevant or useful that I could add to my post. And without fail, it always takes hours from the first word to pressing the ‘publish’ button, so I am really glad to hear that your blogs are not ready in a couple of hours! This creates a ‘blog value’ dilemma for me. The concept of ‘providing value’ is self-explanatory with the ‘how to…’ or ‘list’ blogs, but can a personal blog, where someone just writes about daily life’s ups and downs, offer value to readers? My thinking was that yes, a personal blog could provide value if the readers could identify with the story/emotion coming through… a ‘good to know it’s not just me to who this happens’ sort of thing. Do you think that makes sense? I understand your point about leveraging off well known bloggers. Logically, it makes sense, but I have a bit of mixed feelings about doing it myself, at least at the current stage of my own blogging. I did mention other ‘newbie’ bloggers in my posts, though. My thinking is as follows: as a newbie, so if I start mentioning or referencing well known bloggers in my own blog and then tweet them about it, wouldn’t they just get annoyed that some ‘wannabe’ is trying to get somewhere on their back? And wouldn’t my readers see is as a blatant example of begging for attention? Let’s face it, for anyone who has at least half-made it in the blogging world, my blog is a mere speck of dust… Maybe, when I get famous 😉 if I my blog lasts long enough! Thank you again for your post, Andrew, that’s a lot to take in and something I will certainly read more than once. You’re welcome and welcome to blogging. Hope soaking up all the experience and advice from other bloggers like a sponge. But the one thing about all that advice is that it can get overwhelming. So listen to the advice and do what works best for you. Regarding 200 – 2000 words, I really tend to stay away from short posts. With the things I write about and the amount of detail and information I want to present, a short 500 word post won’t do it. I’m not saying to stay away from it, not at all. Because longer posts don’t work for every blogger and blog topic or niche. You, as a blogger, have to determine that based on your readers and the feedback you get and viewing your stats/analytics and seeing how long they’re actually on those lengthy posts. But the most important thing is to make sure you don’t just write something for the sake of writing something. Meaning don’t write fluff just to make it a longer post. Blogging is all about testing until you feel you got it right.And yea, I do take a while to write a post.This guest post you read probably took me 21 hours total. Nothing wrong with that. Not saying that you have to reveal your most intimate details but some personal stories here and there is fine, I would think. I think a personal blog can provide value if you have an audience. Everybody has ups and downs in their lives. And if you have a personal blog and you’re sharing that, your posts can be valuable because they can provide inspiration, motivation, selfawareness, etc. Just depends on what you’re talking about and how it connects with the reader. Can’t remember the blogger, and I’m not suggesting you do this, but I remember this blogger that would blog about their personal life stories and their ups and downs but they would relate it to some life lesson or business lesson or something in the end. It was pretty interesting. I can understand your hesitations about leveraging as a newbie … I was there not even 2 months ago … even though I’ve been blogging for a year now. But the way I got over that was connecting with others and building relationships with people. Letting them get to know me and me get to know them. Commenting and sharing their posts and just sending messages here and there from time to time. Eventually I got over it and I was more comfortable with “leveraging” off of them because it’s natural. Everybody leverages off of everyone else but as long as you’re genuine about it and are not just doing it for your own selfish reasons and actually want to build relationships with these individuals, then it’s all good. Some other bloggers you mention and tweet about won’t pay attention to you, me, Kevin or whoever because either (1) that’s their thinking or (2) they’re just too busy. But you do it sparingly. If you see a blogger isn’t acknowledging you back or anything then that’s fine. Move on to another one because there are alot of bloggers out there who appreciate being mentioned in blog posts. Hope you have an awesome rest of the week and do you really wear a hat each day? Thank you so much for all your advice. You have certainly answered my questions and more than that. I really appreciate it! No problem. I’m certainly glad to help anyway I can. Hope you have an awesomepic weekend. You already know that I am a huge fan of practical examples, Andrew and Kevin – and this post has certainly delivered. I am also impressed with how much you read, Andrew. You’ve introduced me to a couple of bloggers that were not on my radar, but definitely write great content (like Henneke). Thanks for that. By the way, wanted to dig a little deeper into list posts. Yes, they do tend to get shared more (what’s this obsession with numbers people have?! ), but do you really think they are the best way to deliver value? Personally, I’ve written a few of them (‘Be Memorable’ is one of them! – and this is a good example of who to actually write good practical list posts). However, as a reader, I tend to find them completely unactionable – too many points yield complete inaction on my part. Would love to know what you think, boys. And of course, thanks so much for the mention! I hope Andrew still responds, but I wanted to chime in with my two cents! Regarding the popularity of list posts: I’ve always assumed it’s because readers know exactly what to expect from list posts. People like to be intrigued, yes, but they also like comfort. As for why they’re shared more often, I think lists posts with high numbers (“101 Top Blog Quotes”) usually have higher perceived value. People who don’t even read them will share them simply because they sound comprehensive! Now as for whether they are the best way to deliver value to readers, my take is… it depends. On some blogs I read, lists posts are the best written ones (possibly because bloggers don’t have to worry about transitioning from one paragraph/thought to another). They write an intro, get right to the list, and tie a bow on it at the end. For bloggers who are weak at segues or tying thoughts together, a list post is their salvation. This being said, list posts which offer only one or sentences for each point are, for me, difficult to read. Before I can soak in one point, we’re off to another. However, in-depth list posts, like your “Be Memorable” or my “The (almost) definitive guide for beating writer’s block,” work because they give practical, actionable instruction. They aren’t just lists posts… they’re expanded list posts. Thanks for stopping by, Ana. Hope you have a blessed day. Thanks for the comment. I just recently started reading Henneke’s work. I’ve seen her over at Jon Morrow’s blog and Copyblogger before and she comes out with some excellent content. So I’m glad I’m going to her blog more often to see the awesome content she comes out with. And yes, I read alot. Like you said in your “Be Memorable” posts, and I’m paraphrasing, you never know who the influential bloggers of tomorrow will be. So I read alot and if I like what they write, I become a fan. In terms of value, I personally think they don’t deliver much value if they’re 1 – 2 sentences. But if it’s a great description after each point, then I can see value in that. But, like you said Ana, it’s difficult for the reader to really take action at times because there are too many points. I think it depends on the list post as well. It’s overwhelming for me when I see a post that’s “173 Ways To Be More Productive.” I would prefer a step by step process rather than all of that … but that’s just me. Thank you for the comment, Ana. Truly appreciate it and I hope you have an awesome rest of the week. Great to see you share a great post in Kevin’s blog. Having attention is one of the important factor that keeps blogger to blog. Many quit because they feel the blog like a ghost town. Pillar content is the smart choice to take if we like readers memorize our blog. Thanks for sharing the tips. Wish you enjoy the week. It is a shame that many bloggers quit before they have a chance to really make something of their blogs, but they all have different reasons, I guess. But some of what I shared here are great ways to start getting attention … especially with regards to blog commenting. If you do that, and do that effectively, you’ll see results. “Pillar content is the smart choice to take if we like readers memorize our blog.” Very true. And it doesn’t have to be every post. Maybe one post a month or so … come out with a post that’s truly memorable to the readers. Of course, you don’t want to put too much pressure on yourself to make sure you deliver on that tip, so just write about what your readers want to know about. They’ll decide if it’s pillar content or not. Glad to see you here 🙂 Now, this is a top notch writing man! Keep it up. For me, it is always about giving what your readers want. For example, if the dig into WordPress related stuffs, then it makes all the logical sense to give such information to them. Also, remember to provide more than just plain information. Be something unique and bold. Thanks for stopping by here and thanks for the comment. Giving your readers what they want is what it’s all about … if you’re not doing that then you’re just wasting everybody’s time. And like you said, don’t just give plain information, go above and beyond … exceed their expectations. Doing that will definitely work in your favor. Thanks for the comment once again, Reginald. But hey, you know what. I am speechless! You overdelivered with this message. I had to wipe my brow after I read it. As I was reading i was actually analyzing and I do have to say that I can pat myself on the back. I’m following all these tips, and for all that aren’t, you’ll have to trust Andrew on this one. Once I started writing longer posts, quality post, giving steller comments on every blog as well as replying to my own, and being a lot more transparent I started to see better results. Last year I was blogging every other day, not doing half the tips mentioned here, and not getting as many results as I am this year blogging only once a week (taking breaks in between). It’s ironic, but its about how you do things. When you’re able to figure out how to leverage your time wisely using less effort with more quality, then it’s a done deal. You’ll see the improvements! Thanks Andrew for the great share! Will definitely look forward for more quality posts from you! Thanks for the comment. Yes lol I am a man of my word in a sense, I’ve been “everywhere” lately … but I’ve cooled off in the last week or so. But hopefully by commenting at various places, people notice and get curious. I try to do that with all that I write, over deliver. I want the reader to know as much information as possible on that topic I chose to write about – without getting information overload. That’s awesome. It’s proof that I wasn’t making this stuff up. If you do put in the time and effort you’ll get those rewards like what you’re getting. Thanks for the comment once again, Sherman. Hope you have an awesome week. Hi Andrew & Hi Kevin Glad to see you. Andrew, thank you for your valuable insight. Am a great fan of blogging Thank you for your clear directions forward and your encouraging affirmations. It is a good way to improve our audience and engagement with our readers. I’ll surely give them a try. Thanks for the comment. Glad you enjoyed the post and got something from it. Try out what was said in the post. The most important thing you could do right now is to just take action. You’ll be amazed at the results you’ll get after you’re willing to take that first step. I know I just said on a comment on Kevin’s post that I don’t prefer extremely lengthy articles on blogs, but when they’re formatted this well and as instructing as this one, I could read them all day long. And guys, you know I’m not a flatterer, so I mean that! The screen shots and examples go a LONG way to make if valuable and hold the reader’s attention. I would appreciate a downloadable PDF on longer posts, however, that way I can have it to go back to, even if off line. I provide these for my instructional videos. I like your Tip #1 and have published several pillar posts, but do not make each post I publish a pillar post. I agree about the 300-word post. Way too short to have any lasting effect, unless they are a professional copywriter with tons of pizazz and know-how! Yes, I think you do communicate that you value your readers if you put out well-planned and thought out pillar posts. A pillar post is not characterized simply by length, but by value, as you so beautifully illustrate. By the way, I checked out Henneke’s site, and left her a brief note telling her I heard about her from you, and will be back. Love great connections!! Thank you! Detailed tutorials are very valuable, in my opinion, and the kind that I return to over and over. Kevin’s was awesome, I do agree. Because I keep an ear to the ground to keep abreast of my reader’s/subscriber’s problems, I do often use the opportunity to provide a solution by way of blog/video post. I love doing this. Keeping in tune is essential. Absolutely agree – transparency is a key component to readers getting to know me, like me and trust me. The work is always worth the effort, unless you’re a newbie blogger, then you should be doing other things….According to Jon Morrow’s post today (interesting read and learned a lot). Awesome post, Andrew – great content, and I’ll be sharing with all my friends! Thanks for the comment. I did read that comment you left on Kevin’s other post but what you said makes sense. As long as it’s formatted then it’s ok. I think I need to start cutting down on the length of posts I write to under 2,000 words for a while. Right now, I’m averaging 2,400 words so I’ll see how it goes and if it’s even possible for me. I love to write. Those numbers aren’t too shabby either. Much better than most. Regarding tip #1, a blogger should NEVER attempt to make each post they publish a pillar type of post. That’s just not going to happen. Especially since it’s the readers that decide what posts are pillar content or not. You should just do the best you can and write for your readers – and write content they’ll enjoy. with her. That’s something to really love about blogging. I would love to do a video post like what you do at times or what Ryan does, but I’m just not there yet. But I agree that it’s a great opportunity to get really personal with your readers – especially if it’s answering a question they had. Read that Jon Morrow post as well … interesting stuff he talked about there … especially for newbies. Thanks again for the awesome comment, Carol. Truly appreciate it and I hope you have an awesome weekend. Thanks for the comment. So glad that you enjoyed the post. I find that posts are much easier to understand when they’re broken down in the simplest form … and that’s what I “try” to do with each post I write. Sometimes I achieve that sometimes I don’t. Glad I was able to achieve that here on Kevin’s blog. Hope you have an awesome weekend, ok? You nailed it. I agree about the 300 word post idea. That we shouldn’t do them. Those days are over when Google will pick up your 300 word post and come back with a 1,000 people ready to share. The blogger community has got to buckle down and start hammering down those post that bring value to our readers. So a week per post isn’t a bad idea and it’s what I’m currently doing actually. I’m not seeing 3 post per week like many suggest I should do. I’ve made a challenge at my blog with my readers. It’s called the comment challenge. I display all my comments and then email them and see who scores the most that day. It keeps engagement high and I love pinging their inbox to keep it real. You mentioned the comment idea on Tip #3. I love that idea and keeps your presence alive online. Thanks for the comment. Glad you enjoyed the post. 300 word posts are slowly fading away. Only people I see doing it are major influencers like Seth Godin. Perhaps he can get away with it, but a newbie sure can’t. I post once a week. This is after I went from posting 3 times a week and then twice and thought I wasn’t giving my posts enough promotional time. So I went to once a week and I love it. I get to promote my post but I also get to take time to engage with other bloggers that I normally wouldn’t have had the time to do. Glad you enjoyed the post once again, Luke. Some absolute GOLD in this post, and something for everyone no matter if they are new to blogging or have been around a while. So thanks! For me, the one of the most important things about a blog is the PERSON behind it. And that means having a real name, a real picture, and sharing real experiences. And I will give you a real life example, something that happened to me just a couple of days ago. I have a fairly extensive review of OptimizePress on my blog. It’s a totally authentic review, with over the shoulder video, with negatives as well as positives. Look on Google for a review of this product, and it’s full of sites that have been thrown up just to take advantage of the affiliate program – no person present on the site just generic content. I had an email from a professional who has a law firm. He told me he had seen the review, and appreciated what I had done with the review. Most importantly, he also said he LIKED me, and what I was doing on the site. Although he said he had no real interest in the rest of my site, he said he felt compelled to take a look around because he felt connected with me, and found it refreshing that I gave him the chance to make an informed purchasing decision on something he was unsure about. And not only did he go and purchase through my link, he went and purchased a theme through another link. Total affiliate commission earned from this? $153. Yep, the money is great, but what was better for me was what he said about me. And it proved that I was on the right sort of track with what I am trying to achieve. So yes, in this instance, this professional paid attention to me, because I was a real person just like him, and I was being totally transparent and honest. Which, as you rightly say, builds trust. And that’s why I believe that the most important part of this post is all about being a person – and how that is a huge factor in people sitting up and taking notice. Great post, getting shared out now. That’s an AWESOME story. It goes to show you that if you do Affiliate Marketing the RIGHT way, it can pay off wonders for you. Everything you said there was gold. THAT’S how you do a affiliate review. I saw the post and it inspired me to change around an Internet Marketing Review site I have. I might incorporate video into the reviews that I do. Thanks for sharing that with me. Anyway, showing that there’s a real live person behind the blog is good and is necessary. Nobody feels comfortable when there’s no picture, no about information and no name. Those are all warning signs to people and makes them want to leave. And as bloggers we should avoid doing that. Thanks for the comment once again, Richard. This is really a practical type of post I like reading. The truth about blogging is that no matter how fresh you are in the industry, if you can summon courage, it won’t take long before other bloggers with higher audience starts mentioning you. I take for example when I wrote my first guest post on Darren Rowse of Problogger.net, I wasn’t too sure if Darren was going to let me in to chat with his huge audience, but with courage and determination I was able to scale through. This is definitely one thing that needs to be done especially when you are just starting out in blogging. This is it! There must be a call out, and when there is, there must be a systematic way of keying into it and then there must be smart promotion. I have over time applied this formular and trust me it’s been fun and fruitful! Thanks for sharing this wonderful article Andrew. And for the man Kevin Duncan behind the scene, I really want to thank you for this awesome collaboration! “The truth about blogging is that no matter how fresh you are in the industry, if you can summon courage, it won’t take long before other bloggers with higher audience starts mentioning you.” I agree with this statement. I t just takes persistence I guess. And lots of it. Hey congrats with the ProBlogger.net … I’ll have to do a search for that post to read it. I’m sure it’s pretty awesome. LOL that formula is something I just came up with because it seriously made sense. When you have those two things together, you’re bound to get that 3rd part working for you. Thanks Jackson for the comment and sorry for the late reply. Hi Andrew. I agree to all of your advices. As a beginner in blogging, it was just like a learning class for me. I really liked the point about “The Two Most Effective Type Of Pillar Posts”. i will surely follow those steps to make effective posts in my blog. Keep writing like this. Those two are some of the most effective types of posts. When you do How-To posts, you’re really reaching something to people because they want to learn about something they don’t have much knowledge on. When you do list posts, you’re basically providing an ultimate reference for your readers. If you have the opportunity to make both of those pillar type posts, you’re swimming in gold. Thank you again for the comment. I am embarrassed to say that due to my own downfalls and lack of proper managing skills (that I don’t care to go into)….somehow your 4-week mini course; Shade Of Info 4 Week “Strategic Subscriber Boosters” Mini e-Course was lost and forgotten. Today as I was attempting to clean up my act I ran into WEEK 1 that I read over and was really impressed with your slant on this crazy blogging business! If there is any way for you to send me the remaining 3 weeks of the mini course …(week 2-4), it would be greatly appreciated. Week one was fantastic!! I’ll forward your message to Andrew just to make sure he gets it. Appreciate you stopping by!